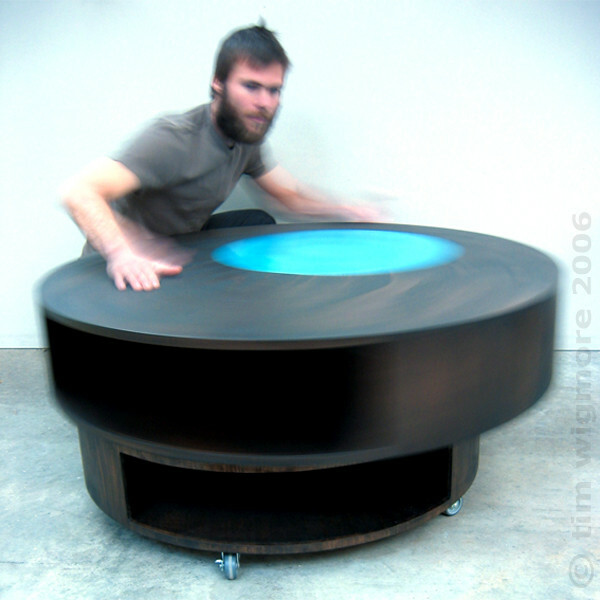 The Spin Table series stems from the Spin Vanity Units. 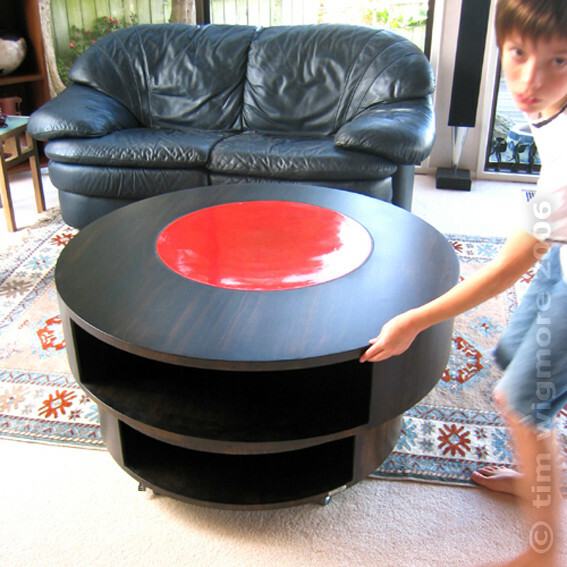 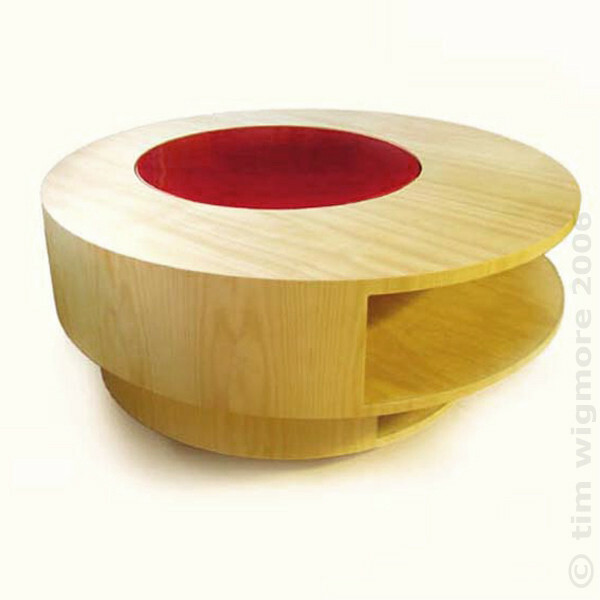 The concept for these coffee tables is that each of the 'drums' rotates on an off-centre bearing. 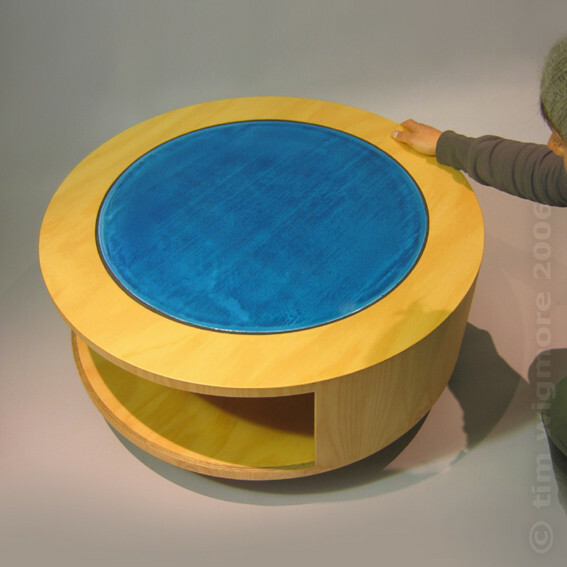 This provides different configurations for the table, and a dynamic and fun way to access the storage compartments. 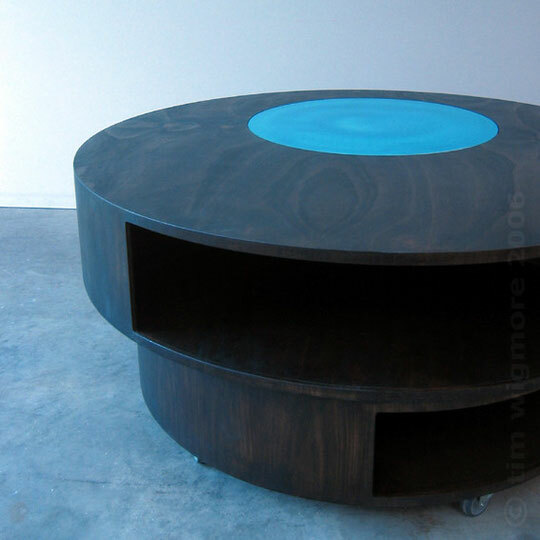 Each table has a unique ceramic surface made by Uku Ceramics inserted into the top.